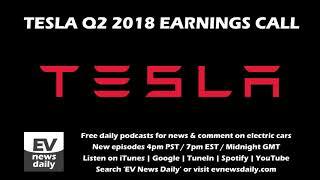 Colin Rusch, Oppenheimer analyst, and Robert Cihra, Guggenheim Securities analyst, discuss their positive outlook on Tesla shares following its second-quarter earnings beat. 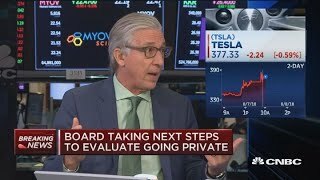 Scott Painter, TrueCar founder and former CEO, and CNBC's Bob Pisani discuss the benefits of Tesla going private and the necessary steps to do so, following CEO Elon Musk tweeting about considering the change. 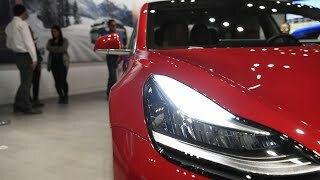 Jul.12 -- Bloomberg Businessweek's Tom Randall discusses Tesla's Model 3 production odyssey. 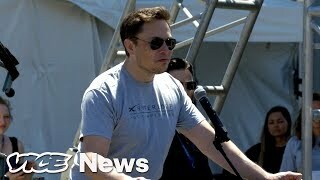 He speaks with Bloomberg's Julie Hyman and Scarlet Fu on "Bloomberg Markets." 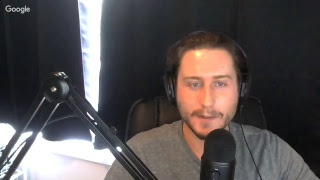 Follow Nikki on Twitter: https://www.twitter.com/Aminorjourney Follow the show on Twitter https://www.twitter.com/TransportEvolve Buy Transport Evolved SWAG : https://shop.spreadshirt.com/Transportevolved/ Support us on Patreon: https://www.patreon.com/transportevolved Make a Bitcoin Donation. 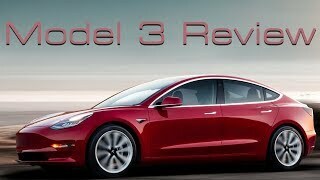 URI: bitcoin:1FJooSP4d9wNVWHyJSgP4me1HB2KX8MALW Subscribe to our second channel at https://www.youtube.com/channel/UCXQSHyC8muqdwKOWGiHuy4g If there's one car we've been asked to review more than any other car this year -- it's the Tesla Model 3 EV. 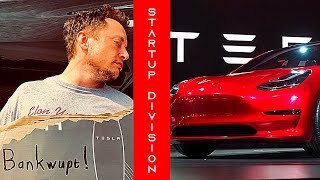 And while it's not available outside of North America, Tesla's long-promised mass-produced electric car has already outsold other electric cars this year in the U.S. alone. 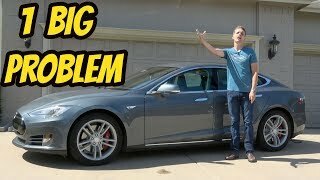 Currently, the only way you can get any decent time with a Model 3 is by owning one yourself -- or finding a local owner willing to lend you a car for a few days. 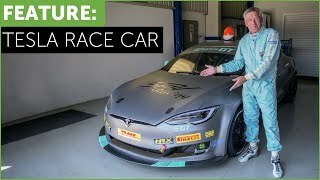 Luckily for us, just such an owner reached out and offered his car for that very purpose. And this review is the result. 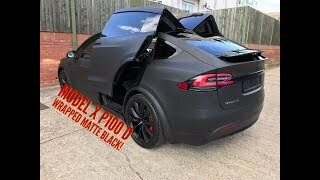 Like, comment and subscribe, and support us using the links above. Special thanks to Chris Almy and Michael Horton for helping with this two-day review. 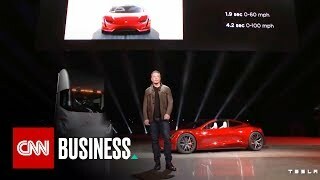 Aug.01 -- Bloomberg's Keith Naughton and Max Chafkin examine Tesla's second-quarter loss. 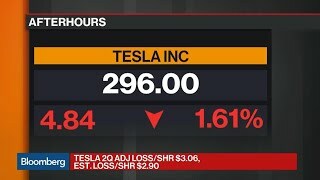 They speak with Bloomberg's Scarlet Fu, Joe Weisenthal and Julie Hyman on "What'd You Miss?" 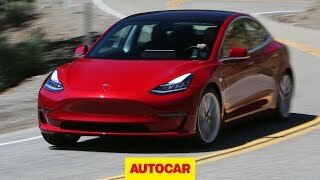 Performance Tesla Model 3 Recorded 0-60 mph times! 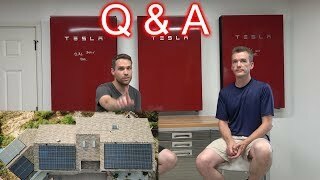 Tesla Solar Install Q&A! 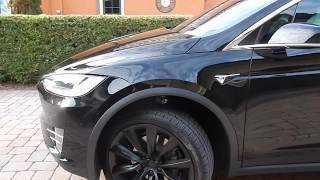 Solar Panels, Powerwalls, Chargers, etc. 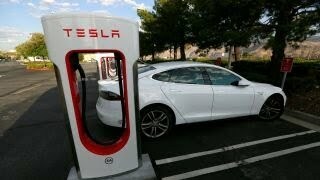 FBN's Charlie Gasparino on Tesla, rising interest rates and the heated political climate. 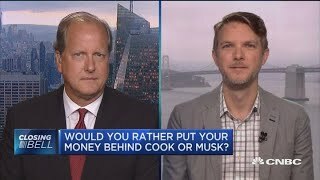 David Garrity, GVA Research CEO, and Dieter Bohn, The Verge executive editor, debate whether to bet on Apple CEO Tim Cook or Tesla and SpaceX CEO Elon Musk. 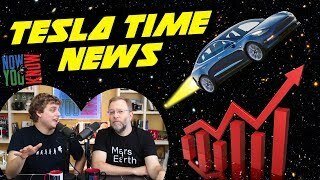 Tesla Time News - Tesla to Space & Q3 Sales!!! 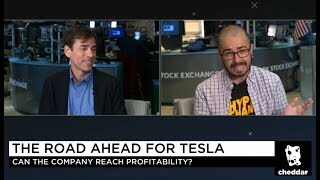 HyperChange founder Galileo Russell debates Tesla short Mark Spiegel of Stanphyl Capital about the future of the electric car marker from the NYSE. Shoutout to Cheddar for hosting! 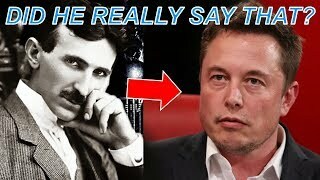 The interview took place on 08/06/2018. 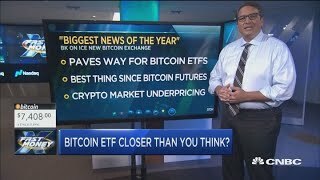 Subscribe to Cheddar - - https://www.youtube.com/cheddar Become a #HyperChanger & support us on Patreon to receive the exclusive weekly HyperChange Newsletter!! https://www.patreon.com/hyperchange HyperChange Reddit: https://www.reddit.com/r/hyperchanger/ HyperChange Twitter: https://twitter.com/HyperChangeTV HyperChange Instagram: http://instagram.com/Hyperchange HyperChange Facebook: https://www.facebook.com/HyperChange/ Music by Marko: https://soundcloud.com/markothedon & Fritz Carlton: https://soundcloud.com/fritzcarlton Disclaimer: This video is purely my opinion and should not be regarded as factual information. 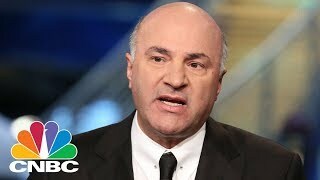 I am not a financial advisor. This is not a recommendation to buy or sell securities. 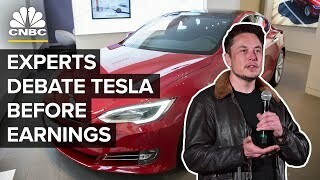 Do not assume any facts and numbers in this video are accurate. Always do your own due diligence. 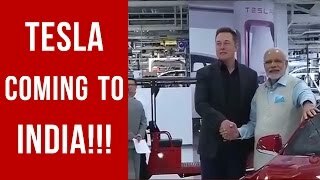 As of 08/06/2018 HyperChange host (Galileo Russell) is invested in shares of Tesla (TSLA), long Maker & Bitcoin. 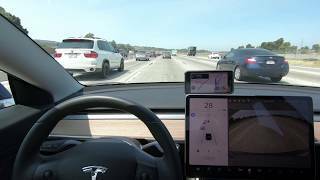 TESLA Q2 2018 Earnings Call | Model 3 Production, Autopilot 3.0, New Gigafactories and lots more! 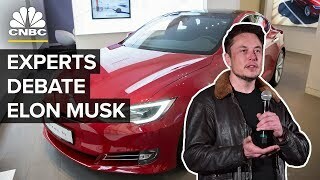 This week on the Electrek Podcast, we discuss the most popular news in the world of sustainable transport and energy, including our exclusive look at the upcoming Tesla Model S and Model X interior refresh, all the news that came out of Tesla's Q2 earnings, Harley Davidson increasing its electrification effort, and more. 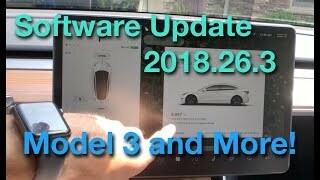 - Tesla is planning a big Model S/Model X interior refresh in Q3 2019 – full refresh in 2021 - Exclusive first look at Tesla Model S and Model X interior refresh: going spartan like Model 3 - Tesla (TSLA) releases Q2 results: record revenue of $4 billion - Tesla gives Model 3 production update: fixed some bottlenecks, plans new capacity with new lines - Tesla claims Model 3 outsold all other premium sedans combined in US in July - Tesla claims to have ‘world’s most advanced computer for autonomous driving’ with Autopilot 3.0 update coming next year - Here are the top 5 cars Tesla Model 3 buyers are trading in - Tesla Energy is ‘battery cell starved’ but the growth outlook is ‘crazy’ - Tesla plans to release Autopilot ‘On Ramp/Off Ramp’ feature in version 9.0 update next month - Tesla tests new direct factory-to-customer delivery, Elon Musk personally delivers a Model 3 - Tesla warns of theft risk through relay attacks, shares ‘tips’ to help prevent - Tesla Model 3 spotted testing towing capacity - Tesla adds Model 3 Performance to referral program, will limit free supercharging for orders after September 16th - Harley Davidson announces plans for multiple electric motorcycles and even an electric bicycle ########################## Affiliate Disclosure: ########################## Note: Some of the links used in the description will direct you to Amazon. As an Amazon Associate, we earn revenue from qualifying purchases at no additional cost to you. 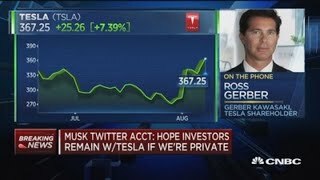 Ross Gerber, Gerber Kawasaki CEO and a Tesla shareholder, discusses whether he would sell his shares in Tesla if CEO Elon Musk were to take the company private at $420 a share, which he announced he's considering.